We are pleased to share another portfolio of photographs from Frank Ward's The Drunken Bicycle series. 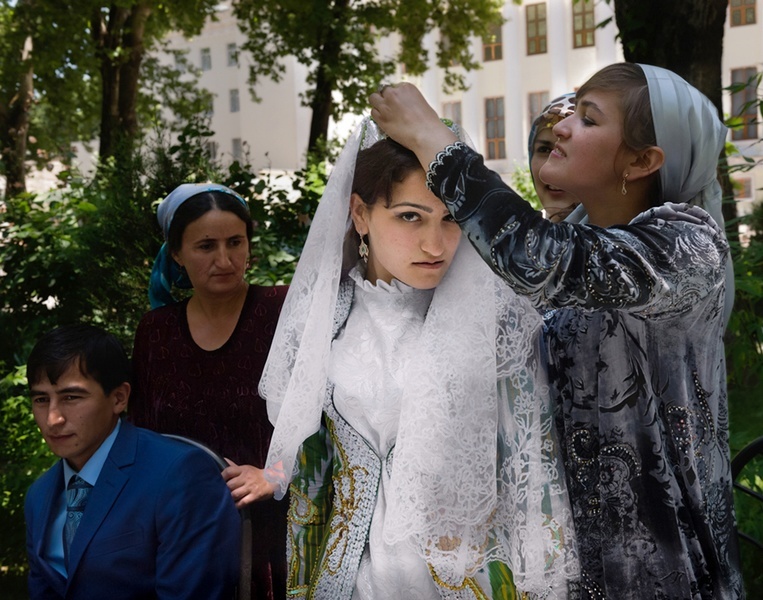 Made in a number of former Soviet countries including Russia, Ukraine, Mongolia, Uzbekistan, Kyrgyzstan, Kazakhstan, Turkmenistan and Tajikistan during the years 2005-2012, Ward describes his work as "the equivalent to travel writing with a camera." 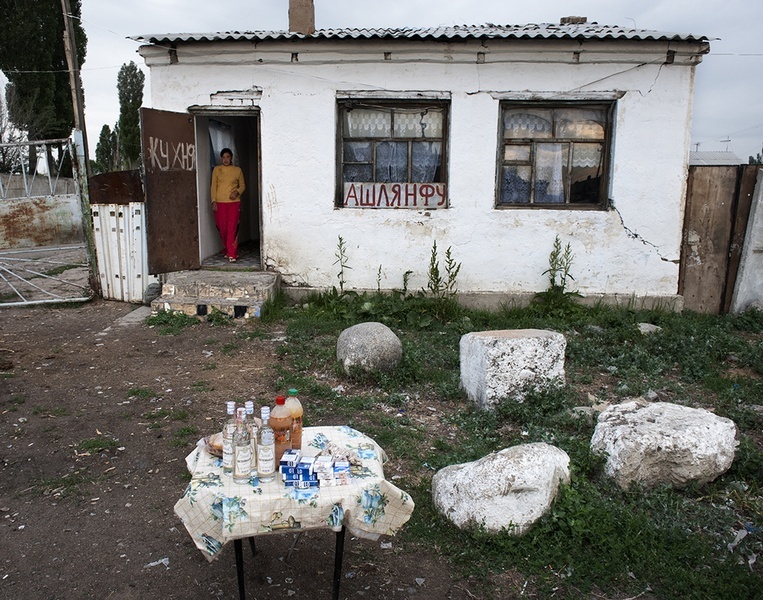 But Ward isn't looking simply for postcard vistas, landmarks and familiar tourist destinations, his exploration in countries of the former Soviet Union indicate a deep interest in the land, its people, and transformation after the fall of the iron curtain. The series title, The Drunken Bicycle, refers to a street game that Ward has witnessed in Siberia. A man will come through town selling rides on a bicycle that has been altered so that the steering functions in reverse, and demonstrates its ease of use. He then challenges men in the town to ride a few meters without falling, offering beer as a reward. Ward has never seen a successful attempt, and for him, the drunken bicycle speaks to his experience of these countries: "The drunken bicycle is an apt metaphor for life in the Former Soviet Union (FSU). The bureaucrats appear to be swaying on a drunken bicycle, the hapless traveler spends his days confused by the swing of it, and this photographer is continually under its influence." As in his previous portfolio, Ward's images are an idiosyncratic collection of small scenes that strike him. "My interpretation is of the present. What is life like now, how is culture manifested, and where is the influence of our global interconnectedness? 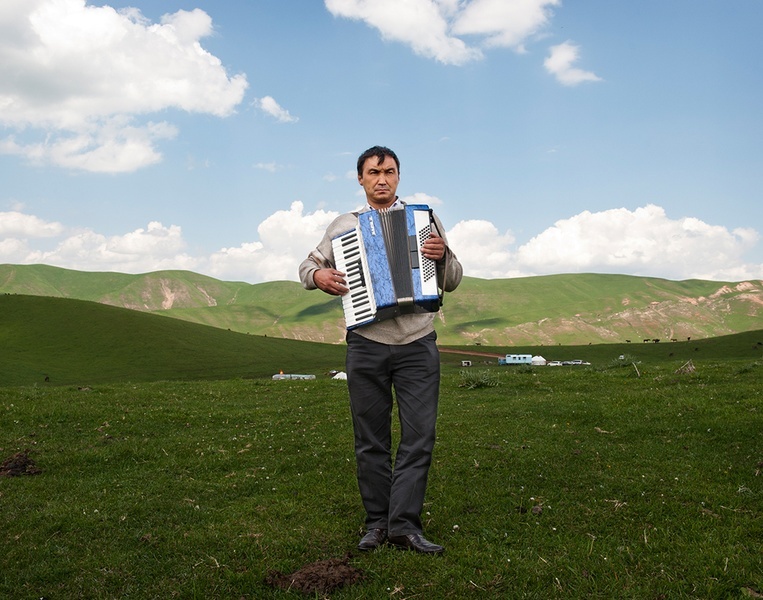 These questions linger as I make some portraits, landscapes, and mostly celebrate what is— a carpet, a chair, a road, a school, a plastic bag," he says. 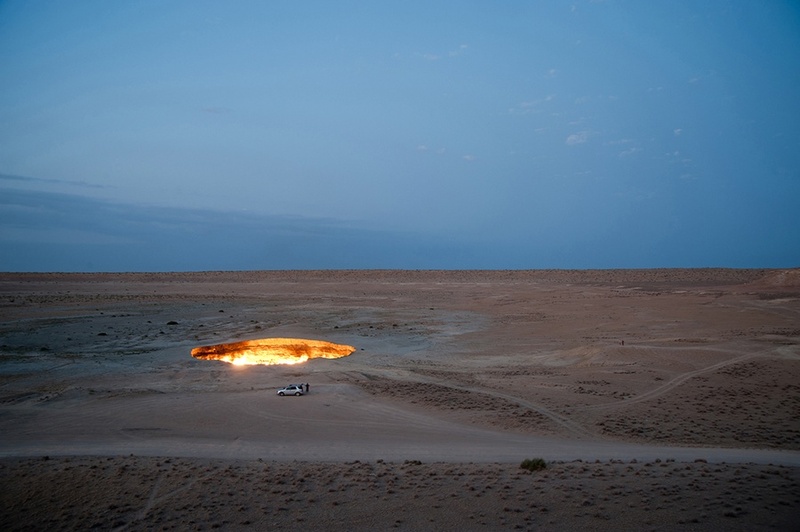 We look into the eyes of youth in uniform, gaze at the glowing edges of the "gate of hell" in the Turkmenistan desert, see aging sunbathers on bright green grass and a young woman lighting candles in prayer. It is an intimate view, but also one of an outsider, an observer with a keen interest in the complexity of the worlds he photographs. Says Ward, "The FSU is a paradise of paradox, where the landscapes are limitless and the people are full of passion and pain." Excellent work, Frank! Love these especially: Accordian Player & Gate of Hell. The story of the drunken bicycle, is wild.